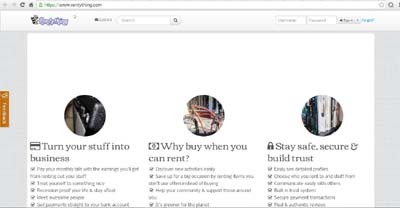 Rentything is a peer to peer rental marketplace enabling anybody to rent anything from and to anyone. It’s free, safe, and easy. Your stuff pays for itself with Rentything. Lenders can choose who they lend their items out to. Payments are deposited straight into lenders’ bank accounts. Borrowers can request items they may need. Perfect for temporary use, travel, and discovery.